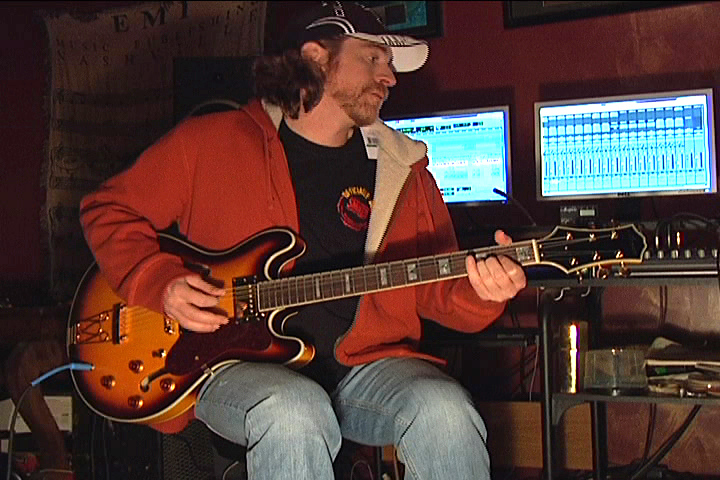 Curtis Lance cowrote the hit single for Kenny Chesney that went to number 1 in 2001 called "Don't Happen Twice". This 25 million selling song rocketed Curtis into the elite "Number One " club. Curtis continues to write almost daily and when he met producer Brian Crabb, though a mutual friend, they started to record Curtis' new songs together. One of those songs, "HEROES", is featured on this CD Compilation project. Curtis and Brian have worked together on another project that Curtis started called, "Smokey Lonesome". Curtis along with producer Reggie Hamm, recorded nine songs under the name "Smokey Lonesome". This CD will be rereleased on the new Curtis Lance website that will follow shortly. Curtis has rock roots but has been writing country songs for years and now is honing his craft on Southern Rock songs that are the core of the "Smokey Lonesome" project. "Heroes", is special to Curtis because be sees first hand just how hard it is to be the "stay at home" parent when the other parent is a deployed soldier. The stress of managing the family at home on your own is great, but when you add the underlying stress that comes with the risks a soldier takes, it can be and usually is overwhelming. So Curtis wanted to point that out so we (friends and family) can be more sensitive to that parent that must maintain there strength at every moment for the family. Not only the kids, but for that soldier to feel confident that everything is good at home so they can focus on the life and death situations that they have to deal with every day. So as Curtis sings so well, we "Thank God For Heroes", the one's here at home.